We are a local, family owned, full service accounting business. The three owners have many years of experience in bookkeeping, payroll, consulting, and tax work. Since 1990, we have earned a reputation for integrity, accuracy, and outstanding customer service. The Bookkeeping Company (TBC) is committed to using our passion for small business success and our skill in financial detail to bring wisdom, clarity, security, and peace of mind to small business owners. Sandra has worked in the accounting field for more that 50 years. She started The Bookkeeping Company in 1990 doing the bookkeeping and payroll herself. The business grew so fast that she soon brought on her daughter, Cheryl, to help. The two quickly realized that the small business market was increasing and had a growing need for the type of services they offered, so they decided to bring on a third partner and to expand their services to include tax preparation. Sandra has a strong background in accounting for the construction industry and is passionate about the success of small businesses. She is proficient in all aspects of accounting, payroll, and taxes. 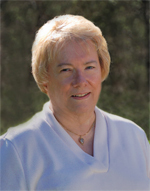 She is a member of many organizations and serves on the board of her church, Mt. Hood Repertory Theatre Company, and Stumptown Stages. 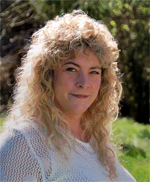 Cheryl has over 35 years experience in accounting, organization, and customer service. She enjoys being a grandmother, volunteers at Mt. Hood Repertory Theatre and Stumptown Stages, and is Treasurer and an active member of her church. 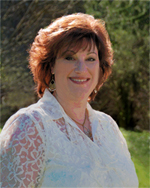 Since joining TBC in 1995, Holly has been receptionist, office manager, and payroll clerk. She now manages the payroll and marketing departments. Holly is a Past President & Ambassador for the East Portland Chamber of Commerce, and supports many groups & charities.